Tremendous eight volume (incl. 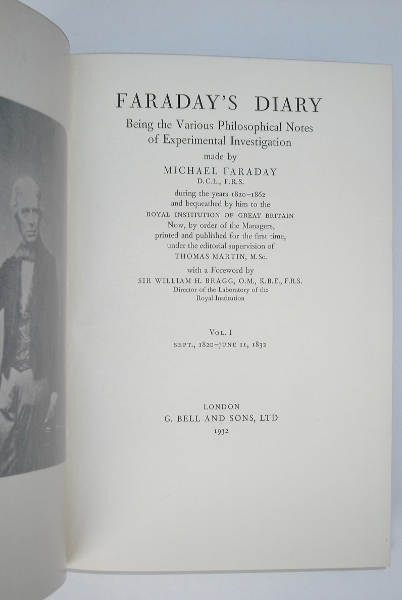 index) publication of Michael Faraday's Diary from the years 1820-1862. 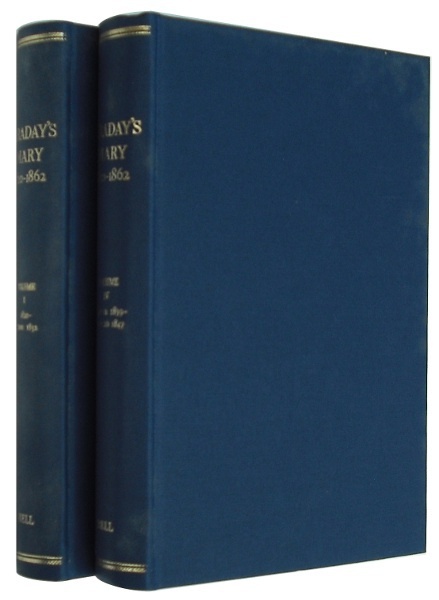 Faraday had bequeathed his Diaries to the Royal Institution and from 1932-6 they released this first printing. 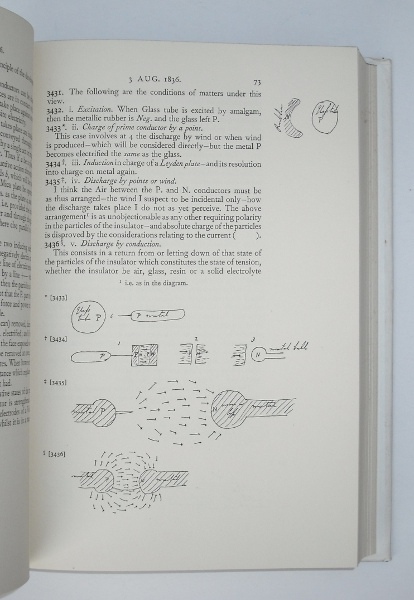 A fascinating record of the work of one of the great experimentalists. Under the editorial supervision of Thomas Martin with a foreword by William Bragg, it contains all his notes, observations and figures as well facsimiles of his own sketches that pepper the margins. 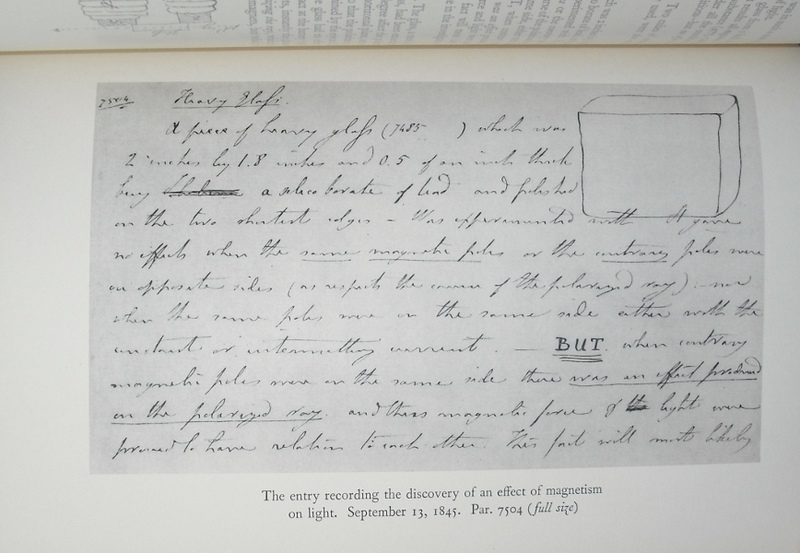 Also included are a number of b/w plates that show excerpts from his hand-written diary, his equipment (his large electromagnet), his larger diagrams or portraits of Faraday himself. Large 8vo. Blue cloth boards with gilt titling. In publisher's original plain white wrappers. Top edge coloured. 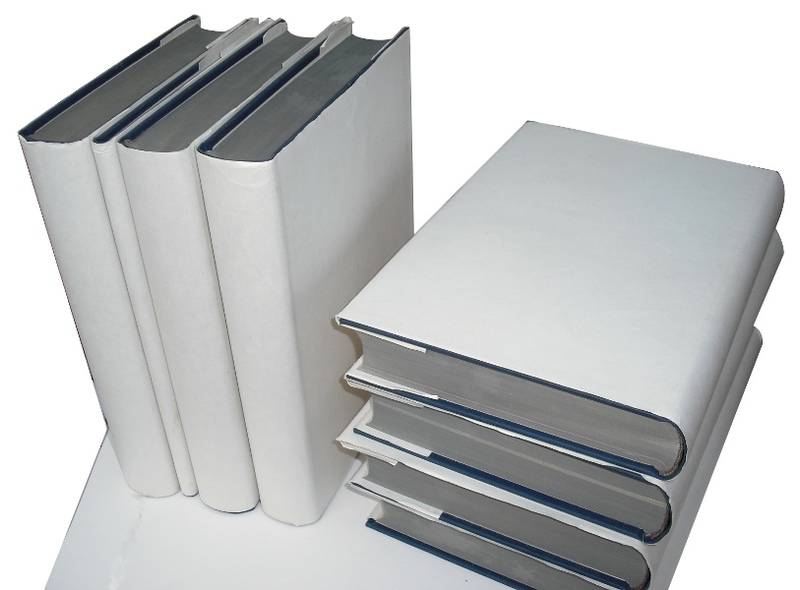 The dust-jackets are a little bumped and shelf-worn. Boards are very slightly dusty with the merest foxing to fore-edge but contents are crisp and clean and covers are bright and square. A very good/near fine set.